Kitchen is one of the most important parts of a house. It is not just because of the food that is cooked there, but there are several reasons for that. A kitchen also reflects the taste and standard of the house owner. A properly made, beautifully constructed and well equipped kitchen evokes a sense of contentment. But it is just not enough to have the beautiful and useful utensils in the kitchen. The kitchen design plays a very important role. With the changing time people are giving more thought to designing their own kitchen, instead of relying on some other person to do it. People are starting to experiment with that part of house. Many even go to the extent of considering Feng Shui before designing the kitchen. If one is planning to decorate or remodel the kitchen then there are certain things that one can consider before venturing into it. Before taking up that work, one needs to decide about the looks of the kitchen. Planning is very important in this aspect, and every aspect of a kitchen should be considered for that. Before deciding on the design one need to make sure that the space is utilized properly. Not all apartments have the spacious kitchen space. Thus, many people prefer to have open kitchen. But apart from that the proper planning can result in a beautiful kitchen. First, one needs to measure the floor including the doors, windows, electric points, drainage etc. If all these are considered in the kitchen design layout then it is sure to give the most beneficial outcome. It also helps in getting a precise idea about the required budget for the renovation. The flooring of the kitchen is very crucial because it is not only the base of the room but you need to also set a base for the kitchen designs. The color, the texture should be attractive and must appeal to the sense. Nowadays, people have quite few choices when it comes to the kitchen flooring. One can opt from stone, tile, hardwood or laminated floors. The tiles and stones are the most common and preferable choice because these are durable and are easy to clean. There are various types of stones and numerous tile designs are available in the market. And this variety has opened up a lot of scope for experiment with the kitchen floor. The kitchen countertops are closely related to the floor and also the cabinets, shelves and the paint. These days the interior designers advise to use two colors in order to add some flavor to the kitchen designs. But those paints must complement each other and the kitchen as a whole. The Colored stones are very much preferable selection because these are durable and easy to clean. This is because this part of kitchen tends to get dirty with great ease. So selecting such material would minimize the maintenance work. The kitchen cabinets are another significant part of the kitchen design. Most people prefer to have wooden cabinets. But clear glass or frosted glass cabinets can also look beautiful. Cabinets offer elegance to the kitchen. With LED lights people now have a wide array of choices regarding the lighting of the kitchen. Various types of fixtures are available to illuminate the kitchen. Be it the cabinets or the external lighting, people can choose from wide range of lighting concepts. These are aspects that should be considered while designing one’s kitchen. Everything should complement each other. The kitchen should reflect the creativity and the taste of the owner. It is said that the food of a home is the integral identity of that house. Likewise, the kitchen should carry that flavor in its design. 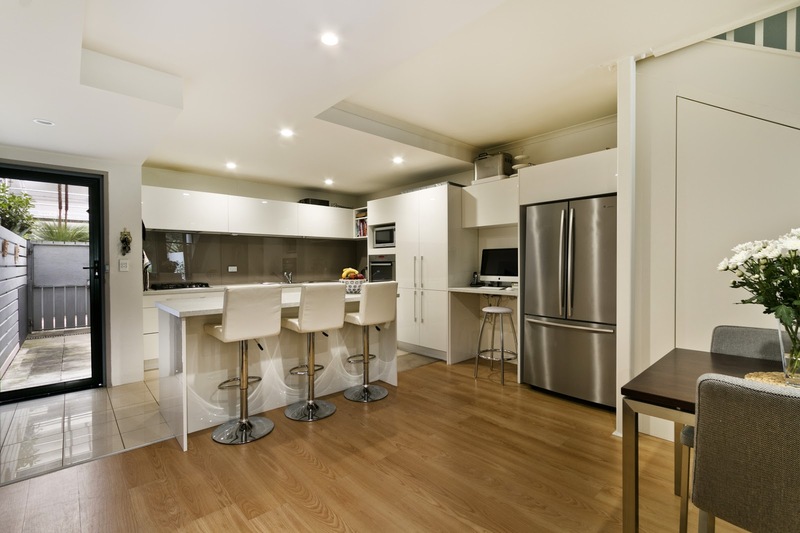 And a beautiful and clean kitchen ensures health and happiness. If would like to know more about Kitchen Designs then go through this link and get more information and designs.